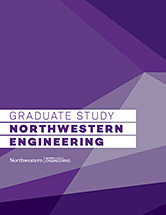 Since Northwestern University’s MEM program was started in 1976, over 800 students have joined the alumni network. Add to this network, the alumni from all the MEM Program Consortium (MEMPC) of Dartmouth, Duke, Cornell, MIT, and USC and you have a large group of alums who believe in the value of the MEM degree. As an MEM alum, you can attend events held regionally around the country. Patricio Cofre is an Entrepreneur and the Co-Founder of Metric Arts, a Big Data and Analytics consultancy company. He graduated in 2013 with a concentration in Design and Innovation. He has 10 years of experience in projects for the most important Latin American Financial Institutions. Currently he serves as CEO of the company and among the company's achievements, they have opened branch offices in three countries in Latin America and have formed a team of over 50 engineers. 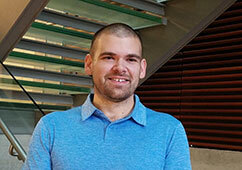 Adam Gill is an Engineering Program Manager (EPM) at Apple and a recent MEM graduate. He feels as though the MEM program gave him the tools he needed to transition from an engineer into a leader, and be far more effective with the teams that he works with. Through courses like project management, product development, marketing and organizational leadership, he gained the skills that were necessary to bing value to Apple as an EPM. Samantha Planas is a Systems Engineer at Fresenius Kabi, where she specializes in new product development of devices that ensure a safe supply of blood and blood-derived therapeutics. Previously, she worked at Baxter and Fenwal in the areas of peritoneal dialysis, cellular therapies and therapeutic plasma exchange. Sam is currently the INCOSE Chicagoland Chapter president, previously serving as vice president, membership chair and communications chair. Keep your information up-to-date and connect with your former classmates and past alumni. 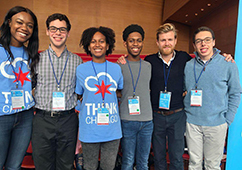 MEM student Linus Waltenberger looks back on his experience exploring Chicago's vibrant tech scene. Ian Wiese (MEM '18) shares how he applied lessons from the classroom into his work at Chicago Extruded Metals. 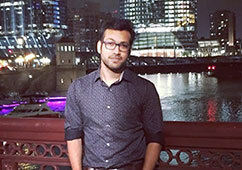 Sheel Saket looks back on his time in MEM and how it helped him make a career shift to pursue his dreams. 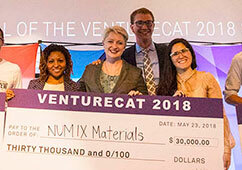 MEM students Katie Kollhoff and Matt Heise reflect on their recent victory at Northwestern University's VentureCat competition.